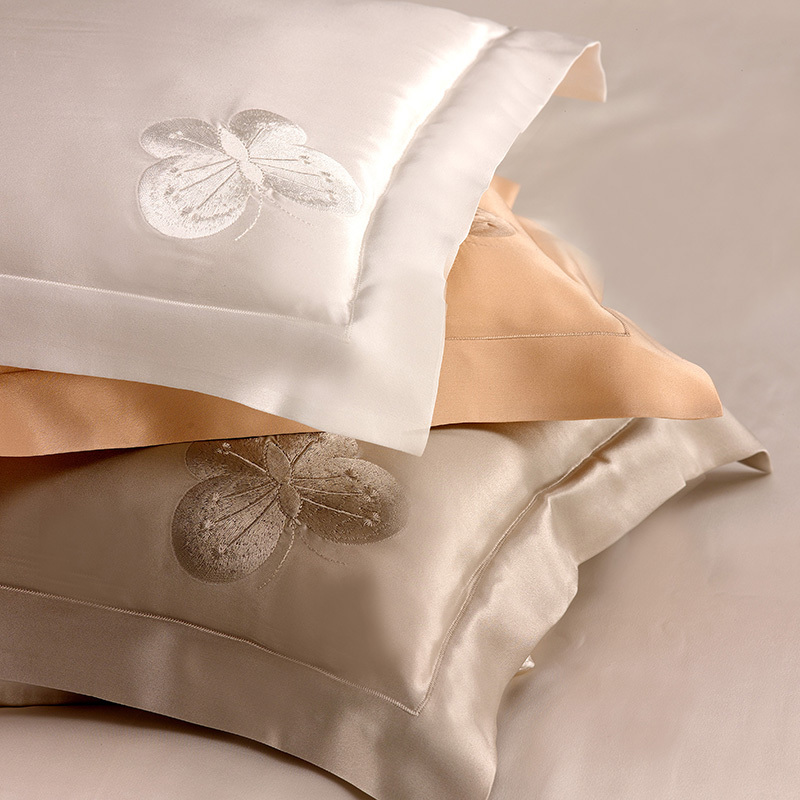 Beautifully embroidered butterflies are scattered on this collection’s 19 momme charmeuse pillow shams. 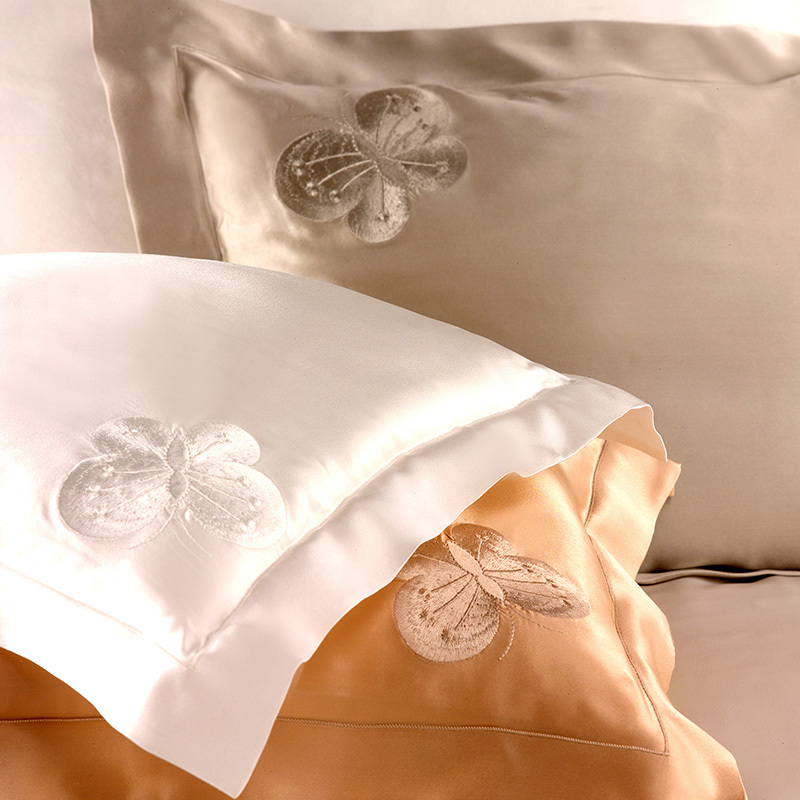 Standard, king and european pillow shams have book-end embroidery and are sold as a set. 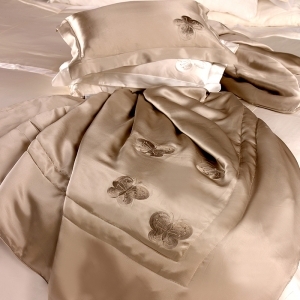 Standard, king and european shams sold as a set.